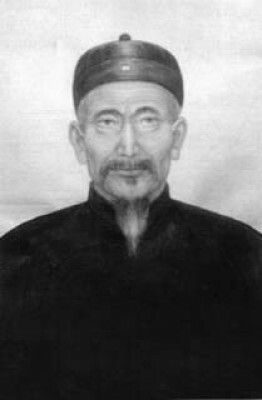 Chen Wang Ting (1600-1680), (also known as Chen Zou Ting) of the 9th generation from the founding ancestor Chen Bu. 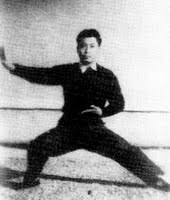 Wang Ting is traditionally held to be the originator of the Chen style of Taiji. It is said that he was a sucessful candidate in the imperial military examinations at the provincial level in the late Ming dynasty. 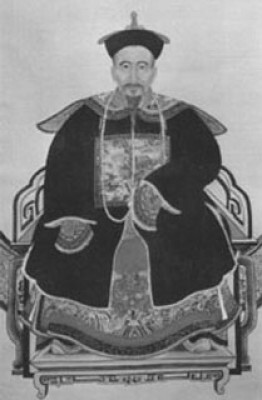 In 1644 (the 14th year of Chongzhen in the reign of emperor Si Zong- also the final year of the Ming dynasty, in which the combined influences of Manchu military expeditions from the north and rebel insurgences in central China served to topple the dynasty) He was appointed Commander of the Garrison Force of Wenxian county. He engaged in military expeditions against rebel forces commanded by Li Zi Cheng in Shandong. Upon the fall of the Ming, his opportunities for advancement ruined by the change of dynasties, he retired to Chenjiagou. 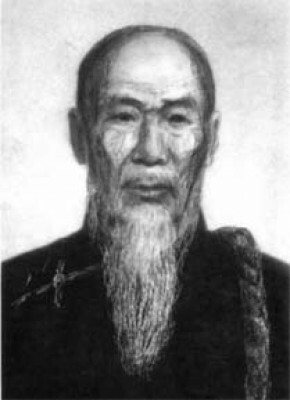 It is said that while in retirement, he fused techniques from the teachings of the Ming general Qi Ji Kuang with traditional medical theory and taoist breathing techniques to form a unique yielding form of martial art. Chen Bin Wang (1748-?) student of Chen Shan Tong & Chen Jing Xia, & teacher of Chen Chang Xin. Chen Chang Xin (1771-1853) son and student of Chen Bin Wang. Known as "King of (Ancestral)Tablets" for his upright posture and reverent attitude, he is best remembered as the instructor of Yang Lu Chan, the founder of the Yang school of Taijiquan. The author of three manuscripts on the art, he has been traditionally credited with synthesizing the empty hand routines attributed to Chen Wang Ting into two forms: Yi Lu and Er Lu (Pao Chui, or Cannon Fist). These routines, along with the weapons sets came to be known as "Big Frame" or Lao Jia (Old Frame). Father to Chen Geng Yun. Chen You Ben son of Chen Gong Zhao. He is credited with the creation of the Xin Jia, or "new" frame form (so named to differentiate it from the "old" frame of Chen Chang Xin). It is now known in Chenjiagou as Xiao Jia (small frame). Chen Geng Yun son of Chen Chang Xin, he served as a convoy guard (piao-shih) for the gentry in Shandong, following in his father's profession. His prowess was well known: a monument to him was erected in Shandong attaining to his proficiency as a guard. Yang Lu Chan Noted as the first non Chen family member to master the art. He was the student of Chen Chang Xin, and later founded the Yang school of Taijiquan, based on the Chen style. He achieved great fame in Beijing as a fighter and teacher. Chen Hua Mei student of Chen Chang Xing. Chen Qing Ping (1795-1868) son of Chen You Ben. 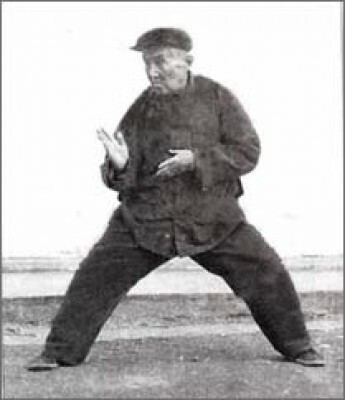 He is credited with originating the Zhaobao style of Taijiquan, (having married into the Wu family of Zhaobao, and relocating there) based on the Xiao Jia frame. Chen Bo Shen son and student of Chen You Heng. Chen Ji Shen (1809-1865) son and student of Chen You Heng. A successful candidate for the imperial military examinations. He fought the Taiping rebels along with his brother Chen Zhong Sheng. Chen Zhong Shen (Zhi Xun) (1809-1871) son of Chen You Heng. It is said that he was the founder of the Xin (now known as Xiao) Jia style. He was taught martial arts by his grandfather, Chen Kung Chao, and said to be generous, public spirited, noble, and chivalrous. A sucessful candidate for the imperial military examinations, he is noted for leading a local force from Chenjiagou ( along with Chen Geng Yun and Chen Ji Shen) against Taiping rebels during the reign of the emperor Hsien-feng, achieving an overwhelming victory. He was known as "The Righteous Hero". Chen Zhong Shen is also noted as the father of Chen Yao and the author and master Chen Xin. Chen Miao son of Chen Ji Shen and student of Chen Zhong Shen. One of the greatest practitioners of his generation. He fought extensively against the Taiping rebels, and was killed in battle with them. Chen Yao son of Chen Zhong Shen, a successful candidate for the imperial military examinations, he began a career as a soldier in 1853, fighting in campaigns for more than 10 years. He was undefeated. Chen Yan Xi son of Chen Geng Yun, he was noted as the instructor of the household of Yuan Shi Kai: "famous martial arts experts who met him in contests were invariably defeated. From Shandong he went on to Tianjin, teaching continuously for six years. Then, because his mother was getting old, he took his leave and returned home, practicing medicine for the rest of his days" Chen Zhao Pei. He is also remembered as the instructor of Du Yu Tse. Chen Xin (Chen Qi, Chen Pinsan) (1849-1929) 16th son of Chen Zhong Sheng. He was chosen by his father to pursue literary accomplishments, and was employed as a schoolteacher. While an accomplished practitioner of Taijiquan, he is remembered for his writings on the art. Chen Fa Ke (1887-1957) son of Chen Yan Xi, and the great grandson of Chen Chang Xin. 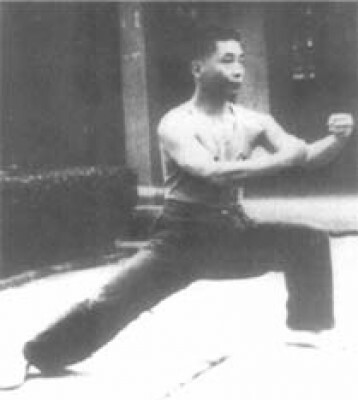 Perhapshis greatest contribution to martial arts was his creation of the "xin jia" branch of Chen family Taiji, which he taught from 1940 to his death in 1957. He co-founded the Capital Wushu Association of Shanxi with Hu Yaozhen (Xingyi instructor of Feng Zhiqiang). Chen Fake taught a number of students, among them his second son, Chen Zhao Xu, his third son Chen Zhao Kui, Chen Zhao Pei, Feng Zhi Qiang, Gu Liu Xin, Liu Rui Zhan, Tang Hao, Li Jin Wu, Li Mu Ni, Hong Jun Sheng, and Tian Xiu Chen. 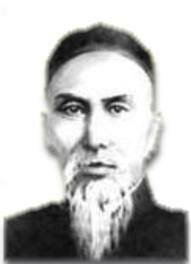 Chen Zhuang Yuan (1877-1949) taught in Hunan. and was instrumental in the preservation and publishing of a book by his uncle, Chen Qi. Chen Bao Ju student of Chen Yan Nien, Chen Yan Xi, and Chen Fa Ke, he taught in Xian, Zhengzhou, Nanjing, and Jiangxi. Chen Shou Li student of Chen Fa Ke. He is noted by author Xie Jun Sheng as one of the last known practitioners of the original 13 posture sets of Chen Wang Ting. Xie notes meeting him in Xian in 1973, when Shou Li was driving a pedicab, and over 80 years of age. Chen Xing San (1880-1942) student of Chen Yan Xi and Chen Qi. Chen Zhao Pei (1893-1972) on of Chen Deng Ke, he is revered in Chenjiagou for the rennaisance of the art in the late 1950,s, 1960s and early 1970s and is the representative figure for Chen taijiquan in this generation. He had an illustrious teaching career prior to his return to Chenjiagou when he retired. It was he who arranged for Chen Fa Ke to teach in Beijing.He taught Chen Xiao Wang, Chen Zheng Lei, Wang Xian, Zhu Tian Cai, Chen Chun Lei, Chen Xiao Song, Chen Qing Zhou, Ran Guang Yao, Chen Shi Tong as well teaching weapons to Chen Zhao Kui at the request of his father Chen Fa Ke. He was also a prolific writer on taijiquan. He was father to Chen Ke Sen.
Chen Zhao Kui (1928-1981) student and second son of his father, Chen Fa Ke. He began to learn from him when he was eight years old. While living and studying in Beijing, he was noted as one of the first exponents of the "xin jia" style created by his father. After 1960, he also taught in Shanghai and Nanjing. He is credited for bringing the Xin Jia style to Chenjiagou, returning from Bejing in 1973 at the request of Wang Xian. He taught Xin Jia in both public and private classes, passing knowledge of the art on to the "four warrior attendants" Chen Xiaowang, Chen Zhenglei, Wang Xian, and Zhu Tian Cai. Other students include Ling Zhi An, Cheng Jin Kai, Ma Hong, and Wu Xiou Bou. He was renowned for his skill in qinna (locking techniques). He is father of Chen Yu. Chen Zhao Hai (1899-1950)son and student of Chen Deng Ke. He fought in the Nationalist army under Fan Ting Lan against the Japanese occupation. Often undertaking solo missions against enemy camps, he was known as the "Lone Brave Hero"
Chen Zhao Chi son and student of Chen Lian Ke. 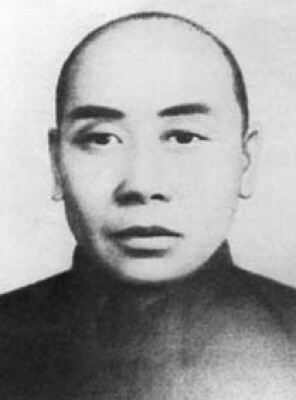 Chen Ji Nao (1899-1971) son of Chen Shang Yuan. 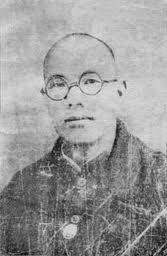 Remembered for his skill in Small Frame (xiao jia), he aided in campaigns against bandits in Wen county in 1921. He taught in Kaifeng, Wuhan, Baoji, and Xian. Chen Ke Zhong student of Chen Qi, he is noted for his teaching of "small frame" Taijiquan. Feng Zhi Qiang (1926-2012) born in Shulu Xian, Hebei province. 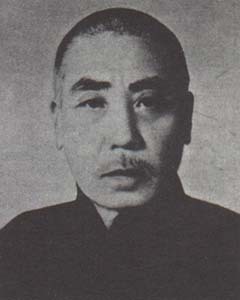 He originally studied Tongbei Quan under Han Xiaofeng in Hebei, as well as Liu He Xingyiquan from Hu Yaozhen of Shanxi. In 1951, he began studying under Chen Fa Ke in Beijing. He is noted for his development of the Chen Shi Xin Yi Hun Yuan Taijiquan system. Gu Liu Xin (1908-1990) student of Chen Fake, and noted author and historian. Kan Gui Xiang (1940-) student of Chen Fa Ke. The creator of the 36 posture simplified routine, as well as the 56 posture international competition routine. She has also written many books on the art. Hong Jun Sheng (1907-1996) studied with Chen Fake in Beijing from 1930 to 1944. Hong taught his small-framed, application-oriented laojia in Jinan, Shandong from 1956 to the early '90s. Famous for his tui shou skills, he produced several champions. In 1989 he published a major theoretical and instructional work "Chenshi Taijiquan Shiyong Quanfa." Chen Xiao Wang (1946-) began training under his father, Chen Zhao Xu, at age 8 but primarily trained under Chen Zhao Pei when his father died when he was 14. He later trained in his late 20’s with Chen Zhao Kui, who came to teach in Chenjiagou after Chen Zhao Pei’s death in 1972. He becoming known as one of the four "Buddhas' Warrior Attendants", the four outstanding exponents of the 19th generation in Chenjiagou. In 1980 he won first place in the National Wushu Tournament, beginning a string of first place honors on the national level. He is the creator of two simplified forms, the 19 and 38 posture routines. He is the standard bearer for the 19th generation, presently residing in Australia. Chen Zheng Lei (1949-) student of Chen Zhao Pei and Chen Zhao Kui and one of the four "Buddhas' Warrior Attendants". His father died when he was very young and he had a hard start in life. He is the author of a three volume comprehensive overview of the Lao Jia system of Chen Taijiquan, as well as a library of multimedia works dealing with the Xinjia and Laojia systems. He presently resides in Chenjiagou, and was voted one of the 13 "grandmasters" of Taijiquan in China (Da Shi) in 1996. He was the principal teacher in the Chenjiagou school after Chen Xiao Pei’s death and taught many of the best students of the next generation like Wang Hai Jun and Chen Bing. It is not well known but he was directly responsible for creating the opportunity for his cousin Chen Xiao Wang to spring to fame (after Chen Xiao Wang had married out of Chenjiagou) by arranging an invitation for him at a national competition. Chen Xiao Xing son of Chen Zhao Xu and younger brother of Chen Xiao Wang, he recently retired from teaching at the Chenjiagou school which is now led by his son Chen Zi Qiang. Wang Xian (1945-) Born in Xian, he was a student of Chen Zhao Pei and Chen Zhao Kui. The head of Chen village during the cultural revolution. One of the four "Buddhas' Warrior Attendants" he was voted one of the 13 "grandmasters" of Taijiquan in China (Da Shi) in 1996. Currently resident and teaching in Chenjiagou. Chen Shi Tong (1947-) student of Chen Zhao Pei. Chen Yu son of Chen Zhao Kui, currently resident and teaching xin jia in Beijing..
Chen Jin Hong First disciple of Feng Zhi Qiang. Chen Quan Zhong (1925-) Studied with Chen Shi Gong, Chen Guo Ying, Chen Sheng San, Chen Liang Zhi, Chen Jing Ping, Chen Jin Ao and Chen Shuo Li. Chen Qing Zhou (1933-) student of Chen Wu Fang and Chen Zhao Pei, father of Chen You Ze and Chen You Qin. Chen Liqing (1919-2009) daughter of Chen Honglie. Noted for her skill in Xiao Jia. Ma Hong (1927-) student of Chen Zhao Kui. Chen Pei Ju student of Chen Chen Lixian (her father), and Chen Liqing (her aunt). Currently teaching in China.